Anyone who has ever had a cold sore, also called a fever blister, knows that they are painful, irritating and embarrassing! There’s nothing worse than waking up to a reddening, itching sore on your lip or nose. What causes these pesky sores and, more importantly, how do you get rid of them? Studies have suggested that CBD and essential oils can play a crucial role in treating and healing those distressing cysts. CBD has properties which treat the inflammation of cold sores and stop the viral cause of cold sores from spreading. Cold sores are caused by the herpes simplex virus. This isn’t quite as serious as it sounds, however, if not treated promptly, getting rid of cold sores can become more complicated. Although incurable, herpes simplex is extremely common, affecting up to 90% of the population. Most people contract the virus during childhood but there are many ways you can be infected. You can encounter the virus by kissing or sharing food or drinks. Most people who have never had an outbreak aren’t even aware that they have the virus. This is because the virus lies dormant on nerve cells for most of a person’s life. The herpes simplex virus causes outbreaks of red, itchy, sometimes painful sores on or around the lips, on the nose or even on your fingers. Cannabidiol, or CBD, has shown very promising results in treating inflammation and helping the body’s immune system to fight infections. CBD is the non-psychoactive ingredient in cannabis that can help treat those cold sores. Combining CBD oil with essential oils, which also help relieve cold sore symptoms, is a natural, effective means of treatment. A cold sore outbreak happens in five distinct stages. 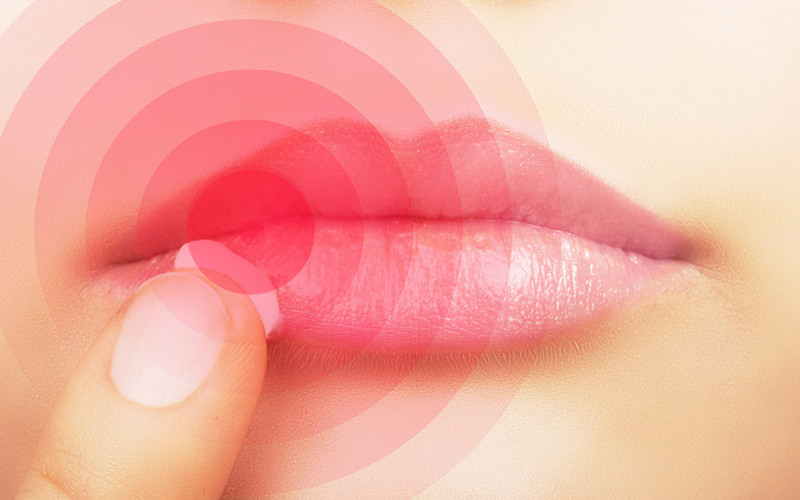 First, a tingling, itching sensation occurs around the lips or nose. This is known as the prodromal stage and is when you should break out those essential oils and CBD products to help with inflammation and speed up the healing process. In the next stage, fluid-filled blisters appear. These blisters are inflamed and can be and very painful. Next, the blister(s) will increase in size until they rupture, leaking the fluid. This is the most contagious stage as the fluid is extremely infectious to anyone encountering it. After the rupturing stage, scabbing occurs over the affected area. During the final stage redness and swelling decreases and the sore subsides. In most common cases, the herpes simplex virus does not raise any major health concerns. In less common cases, however, the virus can spread to the eye or brain, causing more serious conditions which can cause vision problems or contribute to other conditions, such as meningitis or encephalitis. It is important to take all the necessary precautions when dealing with an outbreak so that you do not put yourself or others at risk. A person with the herpes simplex virus can have many cold sore outbreaks over their lifetime which is why it is important to seek an effective way of treating outbreaks when they occur. Prescription drugs are available but for those who prefer more natural methods, alternates are also available. There are several ways of treating cold sores. Let’s explore some healthy, natural solutions. No matter what kind of issue you may be having, there is always an essential oil for that! Essential oils contain the extracted, concentrated oils of plants, trees, barks, leaves and flowers. So many natural remedies are available in the form of essential oils to anyone who takes the time to research their healing power. CBD oils and essential oils, when used together, can improve the effectiveness of each ingredient when treating medical conditions such as a herpes simplex outbreak. Essential oils have anti-inflammatory properties which can reduce pain, swelling, and irritation and even restrict the activity of the virus itself. Tea tree oil is used as a topical ointment for infections, acne, and other skin disorders. This essential oil has properties that help kill bacteria. It can also be used as an antiseptic for cuts. Tea tree oil has been shown to kill the herpes simplex virus and prevent further infections from happening. Tea tree oil is a very strong oil and is often combined with other milder oils to prevent any irritation. One essential oil you may use to decrease this irritation is Lavender oil. Lavender candles and lotions smell great! But its popular scent is not the only wonderful thing about lavender. Lavender oil has been widely used to treat skin conditions and can be used to treat the inflammation of the skin caused by a cold sore outbreak. Lavender oil can also relieve dryness or chapping that may occur on the lips because of the cold sore. Lemon balm oil is another useful essential oil for natural cold sore remedy. Lemon Balm Oil has been proven to have antiviral properties which can stop the herpes simplex virus from spreading. Lemon balm oil, like tea tree oil, should also be diluted to prevent irritation. Peppermint oil has also been proven to limit the activity of the herpes simplex virus. This pleasantly scented oil may also be suggested as a method of preventing infection from spreading and further infections from occurring. Chrysanthemum oil also has strong anti-inflammatory properties. Chrysanthemum oil is another strong oil which should be diluted in a milder oil before use. Also,Also, check for allergic reactions by testing a small amount on your skin before using as some people have allergies to Chrysanthemum. Chamomile oil has antiviral properties which can prevent the herpes simplex virus from absorbing into cells. Some strains of the herpes simplex virus have become drug resistant. In these cases, chamomile oil should be very useful. Clove oil is not only an antiviral but can also help with the dull pains associated with cold sores. Clove oil will irritate skin when applied directly, so it is recommended that it is combined with coconut oil or another mild alternative. Lastly, eucalyptus oil can be used as another anti-inflammatory aid to prevent the inflammation caused by cold sore outbreaks. Eucalyptus oil should also be used with some caution as it may cause some mild irritation of the skin. Essential Oils are an effective, natural way to treat cold sores. People love using essential oils because they contain some of the same symptom relief found in pharmaceutical drugs with very few of the side effects. Essential oils, like the ones listed above, can also be combined with CBD oils to create your own blend of topical ointment that will have you saying goodbye to those awful cold sores. Research other essential oils which may help with symptoms related to cold sores. In the last decade, as Cannabis-related research continues to grow, so does the list of discovered medical benefits found in the Cannabis plant. Who would have guessed that so many remarkable things could be found in a plant which has caused so much controversy over the years? Cannabidiol, like Tetrahydrocannabinol, or THC, is an abundant ingredient found in Cannabis. However, unlike THC, Cannabidiol, or CBD, is devoid of any psychoactive effects you would get with THC. However CBD oil from cannabis may have trace amounts of THC within it, it is usually so small it will not have any neurological effects what so ever. This warning of THC traces is usually added for liability reasons but it is still good to be fully aware of the oils abilities before using it. CBD oil from hemp however will never have any trace of THC as it is a completely different plant. Because of this, CBD has become a widely accepted treatment method for many ailments. CBD has shown promising results in numerous studies for its potential medical benefits. They include targeting the cause of pain and inflammation, preventing cancer and seizures, and reducing anxiety and sleep disorder symptoms along with an ever-expanding list of potential CBD treatments. As the research continues, more is revealed about the beneficial properties found in CBD. A wealth of information also indicates that these drugs have immunosuppressive and anti-inflammatory properties. You may be wondering what it is so unique about CBD that that make it so effective in treating cold sores. It all has to do with the body’s endocannabinoid system. This is the system of receptors which can help control inflammation and pain. CBD helps to balance the endocannabinoid system by offering the Cannabis’ herbal endocannabinoids which the body uses in place of its natural endocannabinoids. With your endocannabinoid system back in balance, your body is better able to resist pain and inflammation like the symptoms caused by cold sores. While the prescription drugs available to treat herpes simplex outbreaks only mask the symptoms, using CBD as a method of treatment attacks the symptoms at their source. This makes CBD a more effective way of fighting back against cold sores. Because of its anti-inflammatory and antiviral properties, CBD oil can be used to treat the outbreak of the herpes simplex virus. Of all the active ingredients found in Cannabis, CBD has been a favored ingredient for medical practice because it contains no psychoactive properties. CBD can be used as an all-natural remedy for treating cold sores, as well as an assortment of other inflammatory conditions. Because of its healing properties, CBD has taken the health and beauty market by storm. 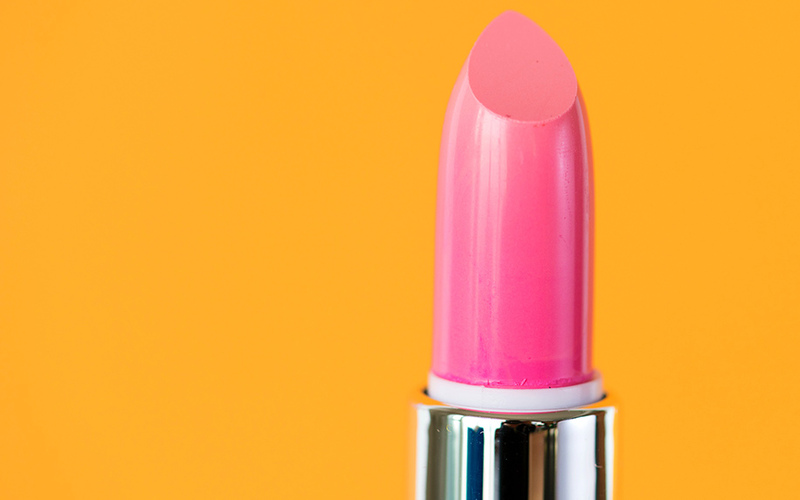 From creams and lip balms to lotions and bath bombs, CBD infused products are becoming more popular as the culture embraces Cannabis as a natural source of health benefits. As the demand grows, a wider selection of CBD products is becoming available online and in your local shops. Many health and medical fields have seen a surge in scientific research focusing on treating illnesses and symptoms with CBD and other cannabinoids. Dermatologists, in particular, have been raving about the recently undiscovered benefits of using cannabidiol and hemp products, namely their ability to fight inflammation and treating side effects of cancer treatments and epilepsy. CBD products can offer a healthy, natural, alternative way of treating your cold sores. CBD oils and CBD creams are offered in a variety of strengths and forms. Because of all the buzz about CBD products, some companies have taken advantage of a customer’s enthusiasm. Therefore, it is important to take the time to check your product’s assurance of quality and reviews. With a little research, you can be sure to find the CBD solution to your cold sores.